About 6.8 million hectares of Australia’s public native forests are covered by Regional Forest Agreements (RFAs) and managed by state forestry agencies primarily for logging. The future of these forests is now a key question for land management in Australia — because the RFAs that govern their use are about to expire, because the native forest logging industry has collapsed and because forests have irreplaceable value for water, wildlife, recreation and climate protection. The era of ‘mining’ native forests for wood is over but there is a huge restoration task to be undertaken and a fundamental discussion to be initiated about our relationship with and responsibility for the land. 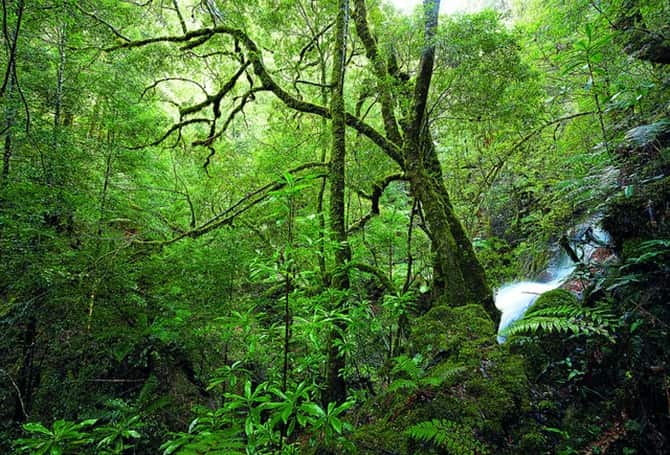 The ‘RFA forests’ cover an area about the size of Tasmania distributed through Tasmania, Victoria, NSW and WA. They are a quintessential public asset and they are at a crossroads. Three questions arise: what should happen to this vast public estate? who should manage it? who should pay for it? Governments will have to respond to these questions within the next 12 to 18 months. The community has a vital stake in forming the answers. For more than 50 years native forests have been sites of intense conflict and they remain so even as the vast bulk of the wood products industry has shifted to plantations. Since 1997, most native forests available for logging have been covered by RFAs. These have shielded wildlife and other heritage and conservation values from protection under Commonwealth environmental law by handing decision-making power to state governments. This is the same mechanism as the Commonwealth government’s proposed ‘one stop shop’ plan, but worse in that the decision-makers in most cases are the state government agencies in charge of native forest logging. RFAs start expiring in two years. The first to go is East Gippsland on 3 February 2017 followed by the Tasmanian RFA in November 1997 and Victoria’s Central Highlands RFA in March 1998 (see table). With them will end a disastrous era for Australia’s native forests and their wildlife characterised by inadequate threatened species protection, deficient enforcement and limited third party rights (see One Stop Chop report below). RFAs notwithstanding, wood production from Australia’s native forests has collapsed in the last decade to one-third of its previous level, largely as a consequence of competition from Australia’s extensive plantation resource. Now, as the woodchipping era ends, industry is switching focus to ‘wood energy’ – burning native forest wood for electricity and heat and converting it to liquid fuels. Wood for chipping and wood for energy are similar high volume-low value commodity industries that claim only to use logging ‘residues’ (waste) but in fact become the drivers for logging as they pursue never-ending cost reduction. RFAs did not address climate change at all and the government’s policies on forests, energy and climate protection are incoherent. It has acted to favour native forest logging by defining native forest wood as ‘renewable’ and eligible for credits under the Renewable Energy Target and has removed native forest protections from the ‘direct action’ legislation. At the same time, direct action will fund tree planting and reforestation on the basis that it increases carbon stores (there is no methodology as yet covering the substantial increase in carbon stocks that would result from eliminating native forest logging). New or renewed RFAs would require legislated amendments to the Environment Protection and Biodiversity Conservation Act and the RFA Act to continue exempting ‘RFA forestry operations’ from federal law. The federal government indicated in December 2014 that a review of the Tasmanian RFA is underway. There is otherwise no information on their intentions. Clearly a choice about the future for Australia’s native forests will be made in 2015-16. A ‘one stop chop’ plan will entrench logging and conflict. Or we can embrace a genuinely different approach that values forests as our common wealth — a public asset to be restored and protected in perpetuity — and accepts this as a responsibility of the community and its governments. Great Forest National Park. On Melbourne’s doorstep, the Great Forest National Park is a vision for a multi-tiered park system for bush users and bush lovers alike. It would add 355,000 hectares of RFA forests to a system of protected areas that maintains important ecosystem functions critical for our way or life. Australian Forest Products Association roadmap for the forest, wood and paper products industry. The logging industry continues to lay claim to 9.4 million hectares of native forests (RFA forests are a subset) despite acknowledging that 80% of Australia’s ‘industrial roundwood’ comes from plantations. They call for an ‘evergreen 20 year resource security process’ backed by Commonwealth and state legislation. State of the Forests Report 2013. Useful data about Australia’s forests but written with a strong industry bias. It contains the extraordinary statement that “forestry operations pose a minor threat to nationally listed forest-dwelling fauna and flora species compared with the other identified threats listed above” (the other threats including historic land use change and predation). The Forest Wars, Judith Ajani, 2007. A history of forests and the wood products industry from the establishment of state forestry agencies in the 1920s to the political opportunities (ignored) for resolving native forest conflict created by the massive over-supply of plantation wood in the 2000s. Forests and wildlife are getting the chop because the federal government has handed decision-making power over native forest logging to the states. Conservation standards are lower; monitoring, enforcement and third-party rights available under federal laws don’t apply; and the federal government has almost no power to recall the agreement unless the state consents. The government’s stalled ‘one stop shop’ plan applies the same model to all nationally significant wildlife, wetlands and World Heritage by giving the states decision-making control under federal environment laws. The One Stop Chop report (2013) by Environment Defenders’ Offices in Victoria, NSW and Tasmania analyses 15 years of RFA failure that have pushed species like Leadbeater’s Possum to the brink.